KAMPALA – The family of Yasin Kawuma, the driver of Kyadondo East MP Robert Kyagulanyi, aka Bobi Wine, who was gunned down in the Arua by-election violence, is in disarray over the Shs20m sent as condolence by President Museveni. The money in question was delivered to the family by singer Catherine Kusasira on Monday in the presence of Mr Salamat Ssebabi, Kawuma’s father, and the deceased’s four widows. However, pandemonium broke loose when Mr Sebabi first said the widows’ children would first be subjected to a DNA test to prove they belong to the deceased. At that moment, one of Kawuma’s widows, Annet Nansubuga, jumped off her seat and rolled to the ground, saying she would not benefit from the money if it remained in the hands of Mr Ssebabi. “I have never seen that man (Ssebabi) in eight years I have been with late Kavuma. He is a rich man but he does not care about us. My children have stayed hungry since the death of my husband,” Nansubuga said. After a lot of thought, he then gave Shs2m to Nansubuga who later went away. The other two widows Nakigudde Beatrice and Nakibuule Florence also demanded the share of the money, forcing Mr Ssebabi to give each Shs.6m. Mr Ssebabi said he plans to put up rental houses so as to raise money to meet the needs of his late son’s family. He was supported by another of Kawuma’s widow, Ms Mwesigwa Alice. “Sharing that money here will not only deprive the rest of the wives who are not here but also will jeopardise the proposed project,” Mwesigwa said. Ms Mwesigwa said that already seven women are known to be widows of Kavuma with 11 children already registered. Mr Ssebabi said that all children will be subjected to DNA tests. 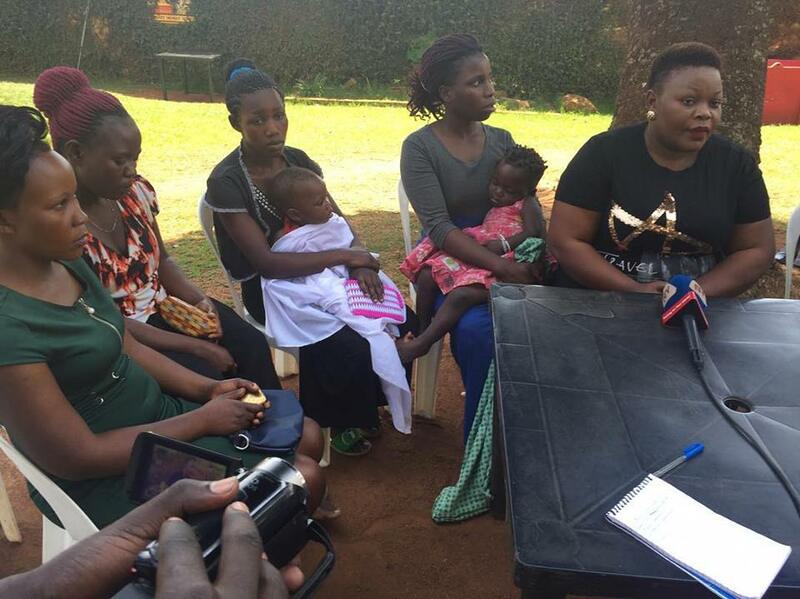 Singer Kusasira urged President Museveni to extend more support to the family after seeing the widows fight over the money. “President Museveni, as our grandfather, you have seen the dire need of this family, they need more support,” Kusasira said.